#ReThinkHighSchool can start here in JXN! XQ is a nationwide project that calls on students, teachers, administrators, community leaders, artist, designers and entrepreneurs to create the new American high school. The XQ Roadshow will travel to New York, Boston, New Orleans, Chicago, Los Angeles, Oakland and Jackson, Mississippi to engage the community in rethinking public high schools and improving the nation’s educational system. Looks like Bruno Mars and Mark Ronson really were on to something. Let me underscore again, this is a big deal. 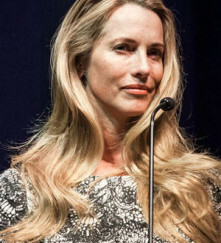 The project is being championed by Laurene Powell Jobs, philanthropist and wife of the late innovation giant Steve Jobs. Powell Jobs is putting up $50 million in grant funds to modernize and revolutionize high school education. The period for #RethinkHighSchool¬†proposals is open through November 15. Finalists will be chosen in April 2016 and winners announced in August 2016. Did I mention that JXN is one of only SEVEN cities the Road Show is visiting? “We will partner with winning teams and provide them expert support and a fund of $50 million to support at least five schools over the next five years to turn their ideas into real Super Schools,” the organization¬†posted on its website. We know that many students can provide amazing #RethinkHighSchool ideas, but that not all can attend the roundtable discussion.¬† The XQ Institute’s WE THINK Booth will be located at the Mississippi Children’s Museum on October 15th and 16th from 10am-5pm.¬†¬† The WE THINK Booth is an interactive display that allows communities to record their ideas and share how they would #RethinkHighSchool.¬† All students over age 13, educators and program leaders are encouraged to come and share ideas on how to reimagine the American high school experience! We strongly encourage EVERYONE who is passionate about next generation leadership and education to get to the Mississippi Children’s Museum October 15-16, 9a.m. – 5p.m. We’re calling on the people of JXN and Mississippi – let’s show everyone how serious and dedicated we are at leading the way for 21st century education.